NCBS Science Museum showcases the beauty and complexity of nature, instilling a sense of wonder and awe towards life around us. It provides opportunities for students and lay people to interact with scientists and learn about latest discoveries in biological sciences through the means of audio-visual displays of various kinds. It provides space for educational activities for larger audiences, especially students of all stages. This is a major interface at which NCBS interacts with the larger society that supports our research and gains from our findings. The Science Museum offers exhibits and displays that showcase biodiversity of India, from microscopic unicellular organisms to gigantic elephants and whales. It shows how nature works, from cellular process that have important ecological implications, to how organisms interact with the environment and with each other. 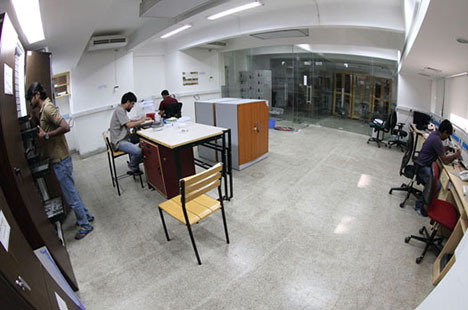 It specifically highlights research findings of NCBS labs, and biodiversity of the Indian Subcontinent. The museum gift shop distributes merchandise and materials related to NCBS. This includes gift items, souvenirs, books, and reports. Some of these are for sale, some for free distribution.